A team of military personnel have arrested 30 suspects for allegedly establishing a camp to train combatants at Tongo-Dzemeni in the South Dayi District of the Volta Region. Security agencies in the Volta Region have remained tight-lipped on the arrest which was effected by the military from Accra. Sources at the well-known fishing village of Dzemeni told Daily Graphic that for the past four months, news had made the rounds that some unidentified young men had set up a camp at Dzemeni to train people in weapon handling and fighting. According to the source, the training usually began from 10 pm and lasted till about 2am. When contacted, the assembly member for the area, Mr George Bada Lotsoo, confirmed the incident.He said about three weeks ago a security official informed him that he had been observing some unusual activity in the area and asked whether he (assembly member) was aware of it. Mr Lotsoo said he answered in the negative and the security officer told him to keep the information to himself while he carried out further investigation to ascertain what exactly was going on. Not quite long after, Mr Lotsoo said, the security officer came back to him with the information that he, together with another officer had observed a training session of the group, under cover. According to him, the group used car batteries as their sources of light, spoke languages that were alien to the people of the area and engaged in hand to hand combat training as well as the handling of special weapons. He said the training session lasted till after 2 am. Then last Friday at midnight, gunshots were heard, he said, and when they drew closer to the scene of the gunshots, a special deployment of soldiers had stormed the area and arrested the trainees as well as people who were on unregistered motorbikes in the area. 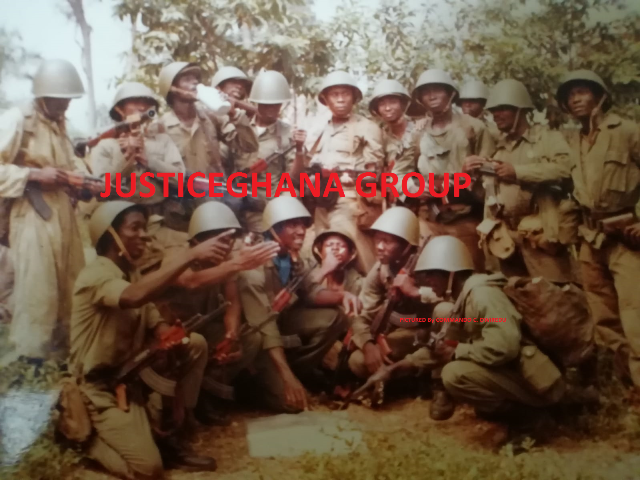 According to Mr. Lotsoo, the people were taken to an unknown destination in Accra and later, those who were considered not to be part of the trainees were released after interrogation. The headman of the Dzemeni community, Togbe Amenyedzi Gati, also confirmed the story. He said though the information he was given pointed to the fact that the people were foreigners, they were clearly working with some locals. When contacted, the Volta Regional Minister, Mr Henry Ford Kamel, who is also the Chairman of the Regional Security Council, confirmed the development and said investigations were ongoing.